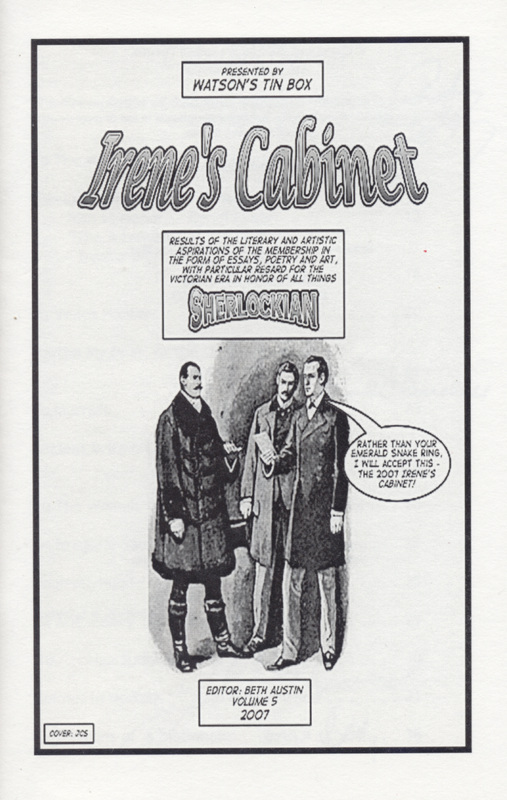 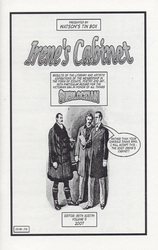 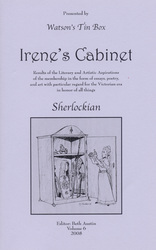 Irene’s Cabinet is the annual Watson’s Tin Box publication edited by Beth Austin and with the typesetting skills of Brent Morris. 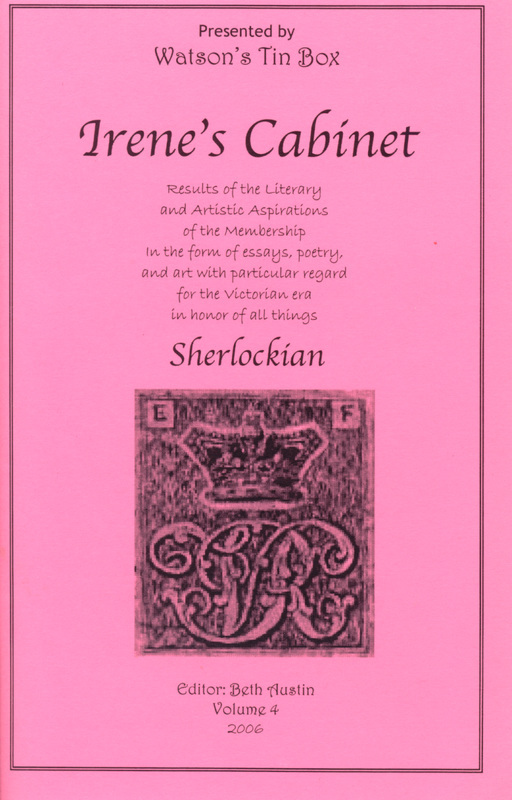 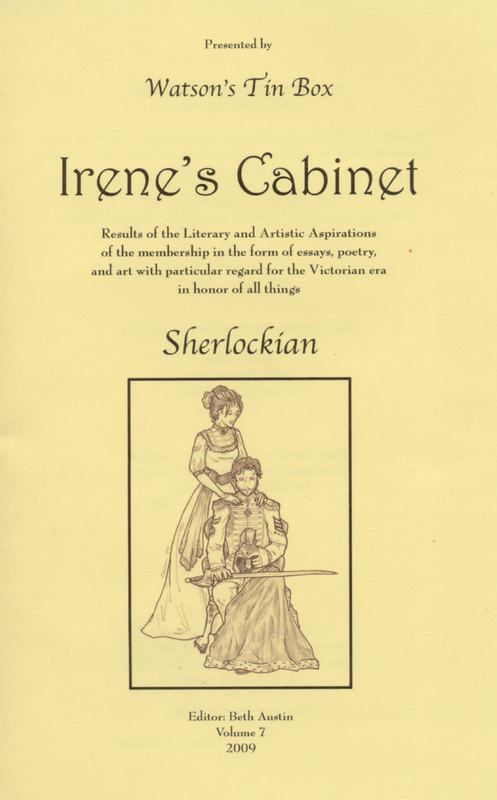 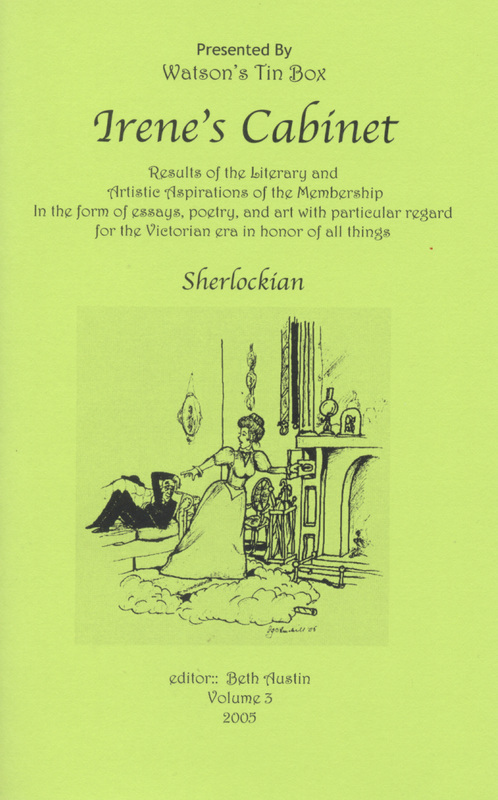 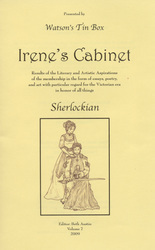 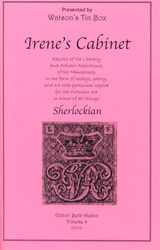 Irene's Cabinet includes essays as well other works by members of Watson's Tin Box, and the winning entry from the current year’s Sherlock Holmes Essay Contest. 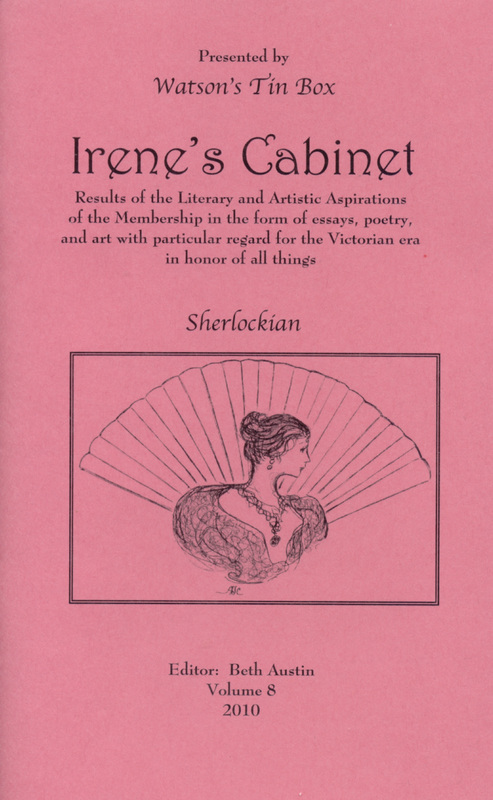 Copies of Irene's Cabinet have been sold at the Mysterious Bookshop in New York City. 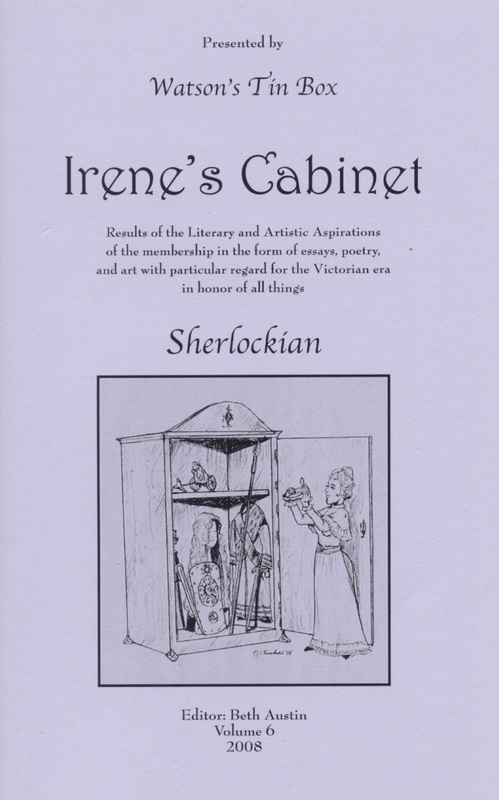 The 2010 eighth edition of Irene’s Cabinet is now available. 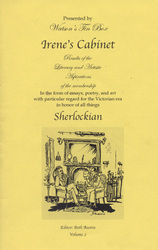 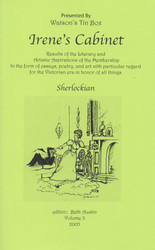 Some of the selections in Volume 8 of Irene's Cabinet are: Poetry by April Curnow; two lovely works by Joyce "Irene" Ludwig; a rap by Deborah Belchis; "The Perplexing Problem of the Puzzling Proposition" by S. Brent Morris; "Sherlock Holmes: Gentleman" by Debbie Clark; as well as "The Irony of Dr. Roylott's Death," the winning essay from the Sherlock Holmes Essay Contest, by Kyra John.